Kohli, who can be seen lambasting a fan to go abroad for not supporting the Indian team is getting slammed by fans for his comments. New Delhi: The Supreme Court-appointed Committee of Administrators (CoA) said on Thursday that they would look into the controversial video in which Indian skipper Virat Kohli can be seen lambasting a fan to go abroad for not supporting the Indian team. "The Supreme Court-appointed Committee of Administrators (CoA) will look into the matter," a source told ANI. 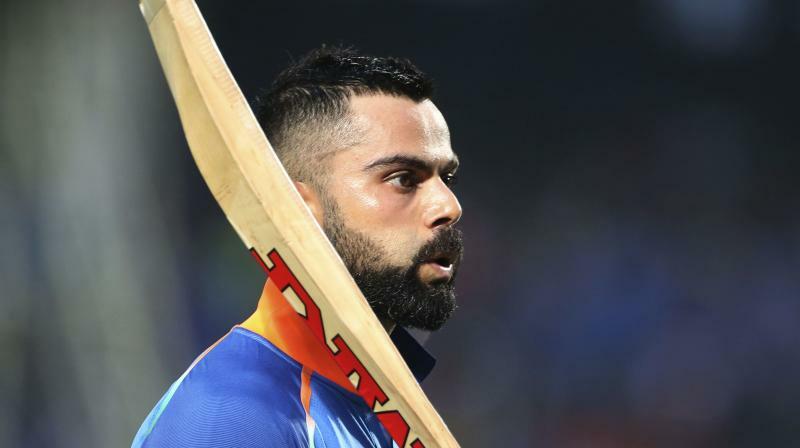 The video is doing rounds on social media and Virat is getting slammed by fans for his comments. The promotional video was recorded by Kohli for his newly-launched application on his birthday on November 5. Kohli was seen reading out messages of a user who has written, "He (Virat Kohli) is an over-rated batsman. Nothing seems special in his batting. I enjoy watching English and Australian batsmen more than these Indians." A fuming Kohli, while reacting to it, said "I don't think you should live in India. Go and live somewhere else. Why are you living in our country and loving other countries? I don't mind you not liking me. I don't think you should live in our country and like other things. Get your priorities right." The cricketing fraternity also criticized the skipper for making such bizarre comments. Cricket commentator Harsha Bhogle in his tweet wrote, "Virat Kohli's statement is a reflection of the bubble that most famous people either slip into or are forced into. The voices within it are frequently those that they wish to hear. It is a comfortable bubble and that is why famous people must try hard to prevent it from forming." "That is also why contrary opinions are frowned upon. Power and fame tend to attract those people who agree with you and reinforce your opinion because they benefit from proximity to fame and power," Bhogle added. Meanwhile, economist and senior BJP leader Subramanian Swamy, backed Kohli and said, "What is wrong if Virat Kohli tells a questioner (who tells him that he enjoys watching foreign cricketers more that Indian cricketers) that he should migrate abroad? Both have freedom of speech. But media is slamming Virat Kohli only." Has Virat Kohli violated central contract after 'leave India' comment?